ARRA News Service: Post Thanksgiving 2014 Nightmare . . .
Post Thanksgiving 2014 Nightmare . . .
. . . Anytime President Obama shows up at the table, thanking Big Government, it's a nightmare in American. 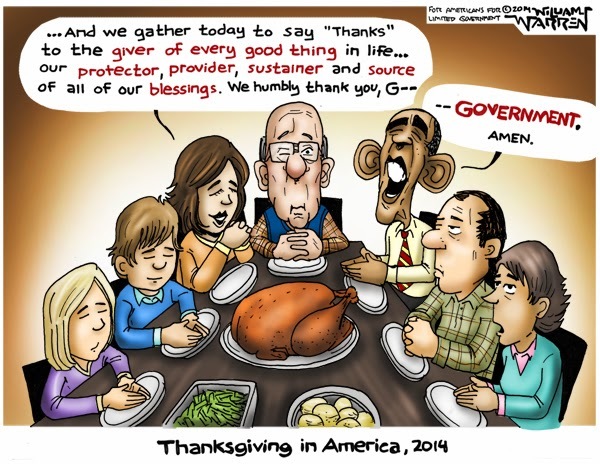 Tags: editorial cartoon, William Warren, Thanksgiving 2014, Nightmare in America, President Obama, Thank you Government To share or post to your site, click on "Post Link". Please mention / link to the ARRA News Service. and "Like" Facebook Page - Thanks!